I have been noticing my legs losing muscle for a while now. My primary care physician has sent me to many specialists, like rheumatologist, urologist etc. Finally he sent me to an orthopedic specialist to acupuncture my legs. He found by accident that I have a pinched nerve in my lower back but told me not to worry too much about it and see him in six months. I cannot believe his response. My lower body has been hurting me for months. I must get a second opinion. I am hoping I don't have permanent damage. I first had a colonoscopy 8 years ago with good results, no polyps. I went back today for my 50 year old screening and the doctor removed 16 polyps. I was told that they were benign and to repeat the procedure in 3 years. I am 63 and never had any problems. I took the bowel screen 2 years ago, it was negative. I took it again this year and it was positive in 3 samples. My general physician sent me for colonoscopy, this failed at 42 cm. Then I had a CT colonography on the same day and in this it showed something at 22 cm, not seen or missed under colonoscopy. Yesterday I had a flexible sigmoid and they removed a 35 mm pedunculated polyp. They say everything is good, I'm waiting to see the specialist. I've got to have 15 plus polyps removed. They only went a little way in. I wonder if there could be more. The sizes range from 10 mm x 20mm to a bit smaller. I'm so worried. 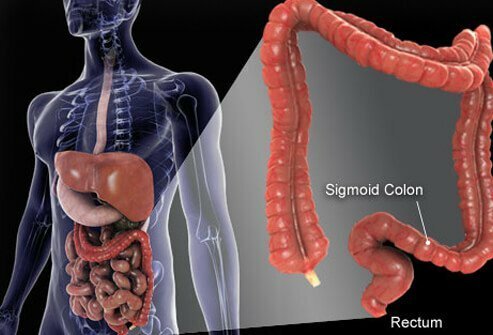 Colon cancer is a major killer, but why! I've had three procedures over the last few years. One, because of my age and to safeguard against the possibility of getting colorectal cancer. Secondly, because of constant constipation. Shortly after each procedure the constipation returned. I mistakenly thought that the doctor always removed the colon polyps, I was wrong. Next week I have to undergo another procedure and I hope I'm not going to be dead wrong. My new doctor informed me that he only removes them if he finds something, I don't know why. I get the uneasy impression that these doctors are in truth, cultivators of colon cancer. What do they do, allow them to grow until the patient has cancer, and then try to save the poor dupe's life! If you're going to have this procedure do yourself a favor. Never assume that your doctor is going to do the right thing for you. Find a hospital that removes polyps before you end up terminal. For them, the big money lies in chemotherapy, not in removal. I am a 38 year old who has had about 4 colonoscopies. With each test I have had at least 4 polyps removed non-cancerous. My symptoms were gas bloating constipation since a child. I had blood in my stool went to see a gastro md. Then since been doing a repeat exam every 2 years. No family history seems to be I'm the only one so far. I believe I was about 30 yrs. Old at the first visit with a gastro md. 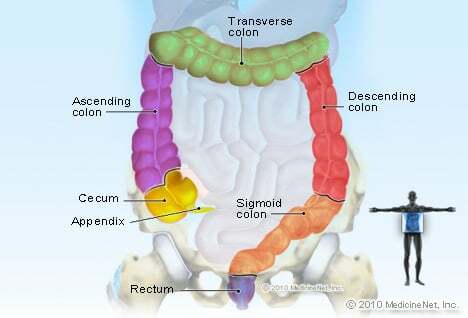 Early diagnosis is the true key to prevent colon cancer. Now I'm wondering if my children 1 who is 20yrs and 1 who is 12 yrs. I do know maroon blood is from the higher part of the colon and causes allot of concern whereas red blood is from the lower colon and could be many things. I had a lot of bleeding last summer and started investigation leading to a colonoscopy and removal of a large benign cyst and 3 adenomas near the cecum. Luckily due to number of adenomas I was booked in for a repeat after 1 year. This has just been done and discovered 1 very small cancerous polyp. There was no certainty of clearance of the biopsy so I was given the choice of early monitor or bowel re-section. I have chosen the bowel re-section as the less risky long term approach as there are no guarantees that further cancerous polyps will not appear. This issue is totally out of the blue as I am otherwise very healthy, not overweight, don't drink heavily and have no family history. The early discovery of this cancer was purely by chance for which I am very grateful. I'm a 50-year-old male, a non-smoker, I play plenty of sports, eat fruits and vegetables, and am not overweight. I went in for a checkup and was totally surprised when the doctor found a 2-3 cm polyp, which he removed. I'm waiting for biopsy results, which will be available in about three days. The doctor wants me back within a year to remove the others under general anesthesia. I'm a bit worried at the moment. I am a 74 year old female. I just had a colonoscopy done and they found 5 polyps. One was 20cm. The lab results came back and there were no cancer cells. The doctor wants a colonoscopy repeated in 3 months. I am just wondering if it is unusual to have it done in 3 months. I had colonoscopy a year ago, and three polyps were found and removed. A few days later, I was told they were benign. I was told my next colonoscopy won't be until after five years. I am a 79 year old female. A recent colonoscopy found 2 polyps - adenoma. Both were removed at the time of the colonoscopy. Next colonoscopy will be in three years. Type of Polyps detected in Colonoscopy: Adenoma - Blanket Polyps Treatment: Right hemicolectomy with removal of lymph nodes and ileocecal valve. What was the treatment for your Colon Polyps? I have had polyps in previous colonoscopies but last year there were 7 tubular adenoma. My sister died from colon cancer at 45. I am now 76 but I will get one every year now (if Medicare will pay for it) as that is not a pleasant way to die. I am in perfect health other than that. A lot of it is attitude and not worrying but being careful. I am a 77 year old male that had a Colon Polyp removed. The lab report showed it was benign. I will have another colonoscopy in 3 years.